Maria provides a variety of classes and workshops at her center in Beverly, MA. 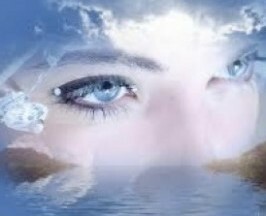 She hopes that all the programs that are offered assist individuals in developing and strengthening their own unique intuitive abilities so that they feel more empowered to move forward positively on their own unique spiritual journey. Maria takes a fresh approach in communicating with the Spirit World and believes that how we live our lives here has a direct correlation to how we work with Spirit. Join Maria for a journey of self-discovery where you will learn more about your intuitive/psychic abilities as well as Spirit Communication. This is an intensive 6 week Mediumship Development class for individuals who are working on and committed to building their confidence and strengthening their connection with Spirit. Join host, Andrea Quagenti at this monthly community circle that meets the first Thursday of every month. 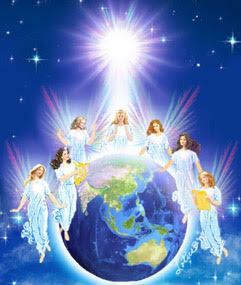 We will clear and align our energy, relax during a guided meditation and tap into our intuition and Angelic support. Leave feeling connected, uplifted, empowered, clear and confident on your path. All in attendance will receive a personal divine message! This is a 6 week series which will help you discover and connect with your own true source for renewal and relaxation and deepen your personal practice. Mindful Movement is a seated practice and moving meditation share in an atmosphere of contemplative conscious dancing. Sitting allows us an opportunity to re-enter the realm of our still, aware, and alive bodies. We hope you can join us to explore and cultivate your relationship with vastness of being and the authentic impulses that move within you. We are all Psychic!!! This is for individuals who are interested in learning how to strengthen their psychic/intuitive abilities. 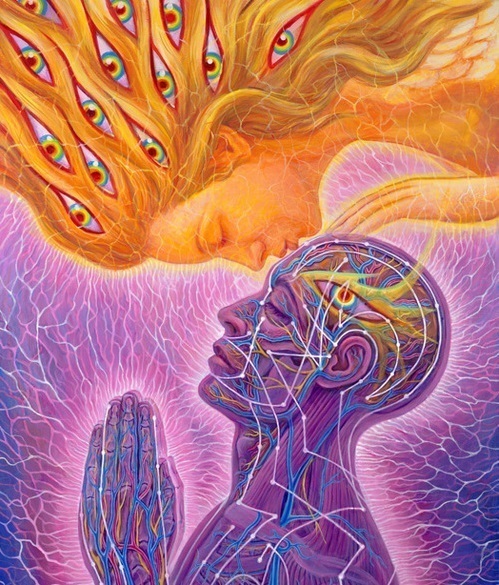 Through meditation exercises, you will learn to deepen your psychic connection so that you may gain the confidence you need to trust when you are getting psychic impressions, and/or symbols for yourself or another individual. You will have the opportunity to give readings to fellow classmates in order to learn how to convey a message in a confident and responsible way. 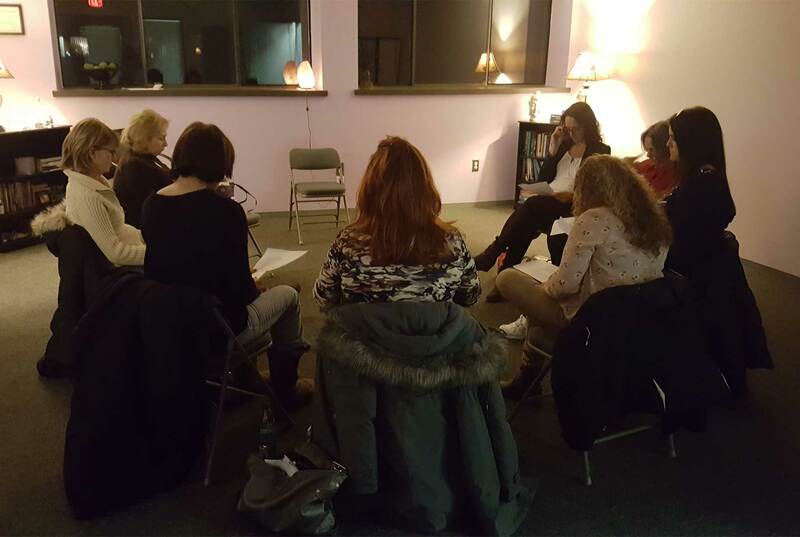 This workshop are for those who are just beginning to explore their psychic abilities and for those who would like to sharpen their abilities and become more comfortable. Practicing your psychic/intuitive abilities in a supportive and positive environment is one of the most important things you can do for your development. The main purpose of Mediumship is to prove the continuity of life by linking in with Spirit (Loved Ones) who has passed over into the Spirit World. 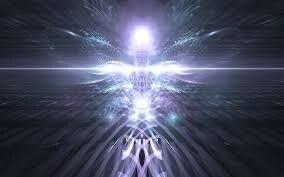 As a Medium, our main responsibility is to trust and remain neutral in order to create a strong link with Spirit. This allows the flow of energy to be strong so that we as a Medium can identify and pick up as much evidential information from Spirit in order to share this with the sitter. This is an intensive 4 week class for Mediums that are working to build on their message work. This class will teach you to develop a focused approach when working with Spirit. You will learn to establish a stronger connection with Spirit and “hold” the energy in order to identify specifically who you are communicating with and receive key information that you can pass on to the person receiving the message. Also, Maria will be coordinating two groups of 20-25 people in order for you to have the opportunity to practice your message work with a larger audience. Pre-requisite: You must have a least 1 year experience sitting in a Mediumship/Psychic development class to attend this class. ~ An Introduction w/ Paul McCormick, Ph.D.
Making a closer connection to one’s Helping Spirits and Guides can be essential for your personal and spiritual growth, happiness, and contentment. Paul will introduce you to the ancient Shamanic practice of “Journeying.” It is a powerful meditative, experiential method to establish awareness, openness, and receptivity to one’s Spiritual Helpers. 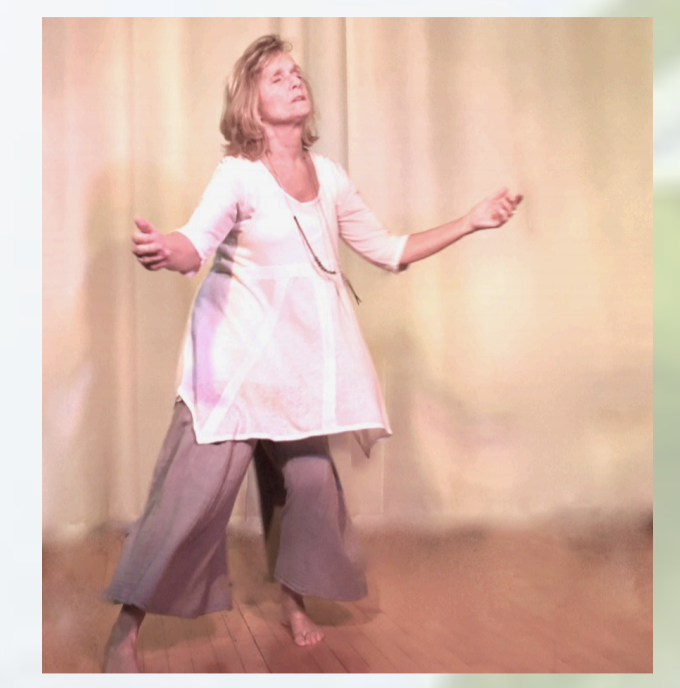 This 4 session workshop will introduce and deepen your own practice of “Journeying” and Shamanic spirituality and mysticism. Each 2 hour session will include teachings from Michael Harner’s tradition of “Core Shamanism” and questions and discussion. Each meeting will include some reverent shamanic ceremony, drumming, and 2 of your own personal journeys. Sharing is optional. Please wear comfortable clothes and bring a blanket, eye bag/bandana, notebook and pen, and your curiosity. Your Helping Spirits are waiting for you to meet them. If you have a drum or rattle, please bring it. If you don’t have one, there will be some to borrow. Sound itself has an inherent transformative power. Sound Healing is the intentional use of sound to create an environment which becomes a catalyst for healing in the physical, mental, emotional, or spiritual aspects of our being. To become healed, simply means to become whole. The sounds are created by a wide range of instruments with different frequencies which include crystal bowls, gongs, Himalayan singing bowls, and tingshas and koshi chimes. The results are waves of peace, heightened awareness, and relaxation of the mind, body and spirit. Time is suspended as you enter a world of vibration, sensation and experience. Come, sit comfortably in a chair and let the sounds envelop you. You may want to bring a blanket to make yourself as comfortable as possible. Most people close their eyes and the music take them on a gentle and transformative journey. Eye pillows may be used to help you feel calm and heighten your other senses, especially hearing. Maria Halvorsen, Spiritual Medium/Psychic & Paul McCormick Ph.D. This half-day workshop is for those who wish to share and hear experiences and abilities with like-minded people. It will offer you reassurance, comfort, and confidence in realizing you are not alone and normal to have extra senses. Paul and Maria will be sharing their experiences to bring you more understanding and reassurance. Maria has an extraordinary ability to link directly with Spirit in a down to earth and compassionate manner. 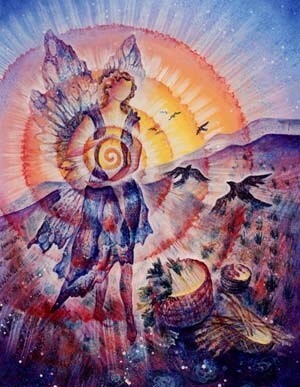 She hopes her understanding of and connection with Spirit will bring you to a place of peace and harmony.